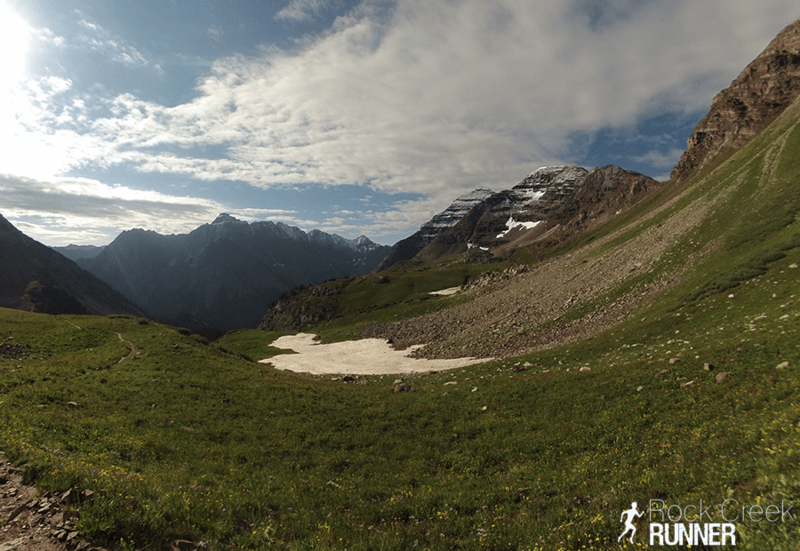 Last week I set out with two friends, Skylar and David, for an epic weekend of running in the mountains of Colorado. This was to be the second annual running weekend with these two, after last year we ran/fastpacked the 102 mile length of Shenandoah National Park in 3 days. 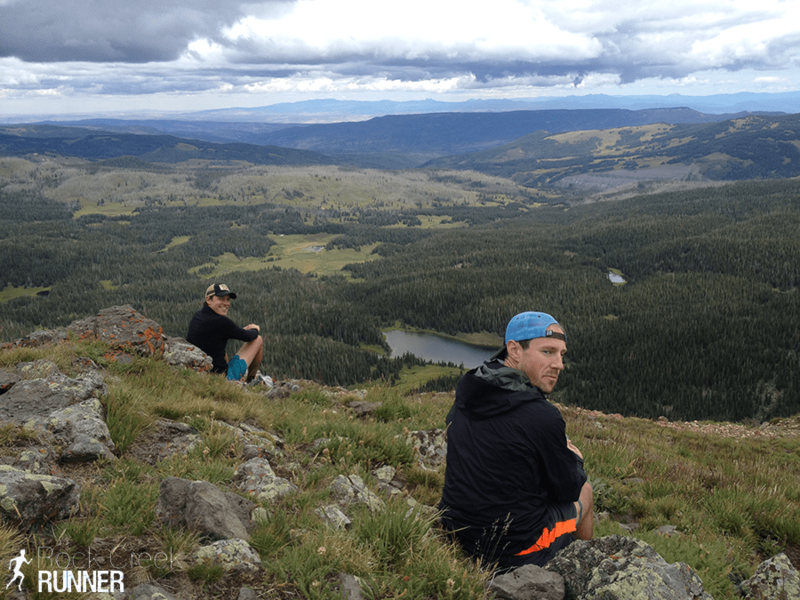 We were looking for a trip just as trilling as the last, so with Skylar’s recent move to Denver, Colorodo seemed like the perfect place for us to plan a few days in the mountains. Leading up to this trip I was nervous. Nervous about the mileage we’d be piling up over the course of three days, nervous about the new terrain and back country, but most of all nervous about the altitude. 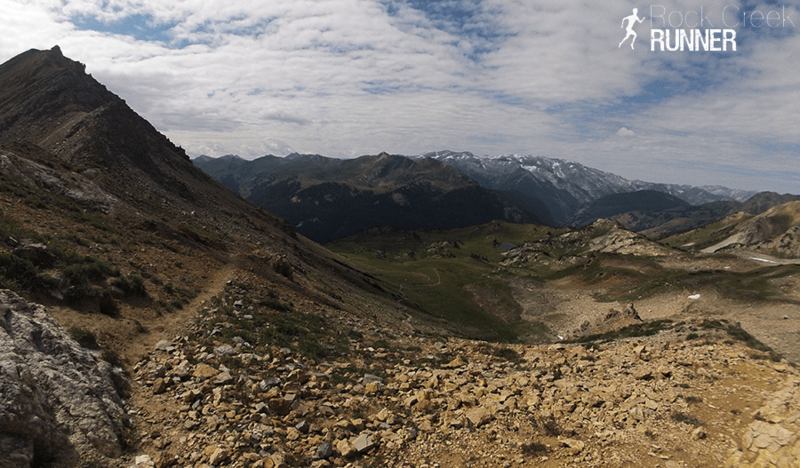 But facing nerves (and vulnerabilities) is what these types of ultrarunning adventures are all about, so I did my best to train the legs, and just hoped for the best when it came to the altitude. 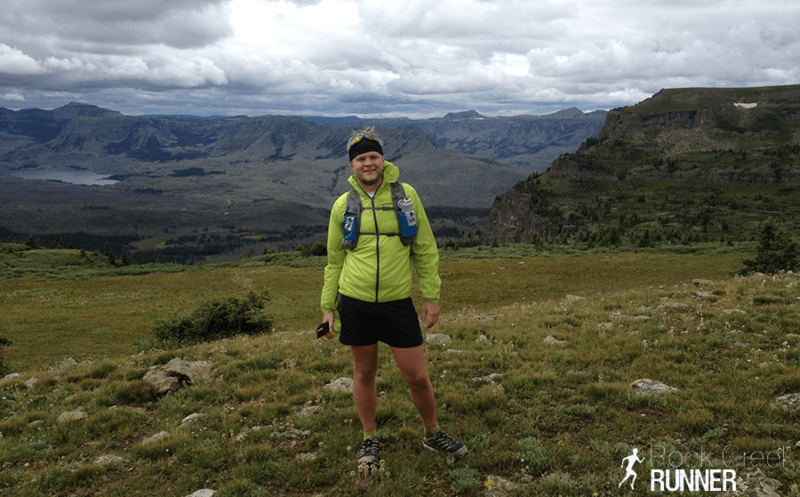 Day 1: 22 Miles in the Flat Top Mountains, located in the Northwest portion of the state. The stunning views and gorgeous lakes resembled more of what I’d expect to see in Utah than Colorado. Day 2: 17 Miles from Silverton to Vail over the Red Buffalo Pass. 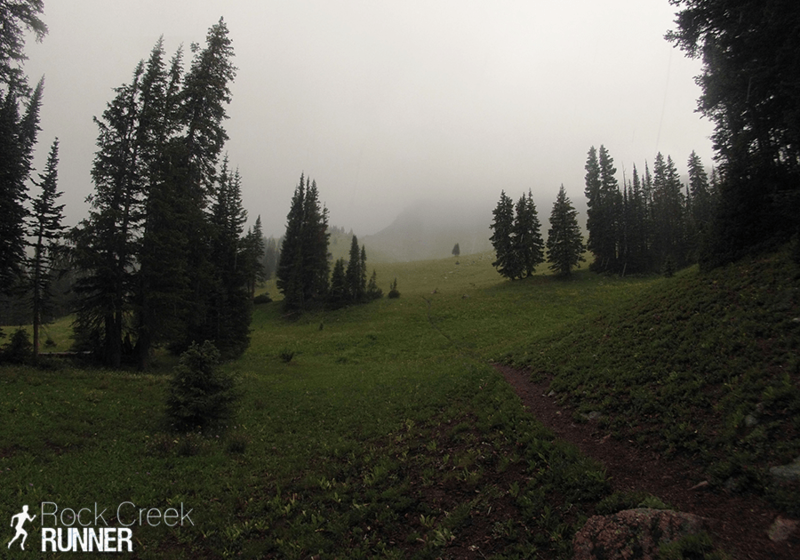 Bad weather meant lots of rain, hail, and high winds once we got over 10,000 feet. We were joined by another friend, Joseph, for this run, and we all had a blast suffering through the cold together. Even made it off the trail in time to catch TJ win the US Pro Challenge time trails leg in Vail. Day 3: The complete 28 mile Four Pass Loop outside Aspen. The most beautiful and difficult run of the weekend, featuring roughly 10,000 feet of elevation gain, all between 9,500 and 13,000 feet. Note: If you’re looking at the Stava data, my watch died before we made it back to our car. The three days of running were filled with major highs and lows. We all suffered, a lot. But none of us ever lost site of how glad we were to be a part of such an amazing adventure. Through that suffering, I learned a lot about myself and about running, and I’d like to share four of the biggest lessons with you today. East coast trails are known to be technical and hilly. My home trails in Western North Carolina are often very steep, and it’s rare to find an extended flat section. But our climbs are often short. In part, I’d assume, because our mountains are shorter (but no less beautiful!). On these trails in Colorado, I found climb after climb lasting 2, 3, 4 miles at a time. Often raising multiple thousands of feet in the process through very steep sections. When climbing consistently for miles at a time, technique and form are more important than ever. Even when you’re tired and feel like flopping or crawling up the hill would be a better option. For two of the three days, I carried and used wizard sticks trekking poles during all major climbs. I had practiced with the poles a few times before leaving for the trip, and found them very useful on the uphill. Not so much on anything else. I typically advise runners to avoid drinking and eating when climbing as to not disrupt their breath, but on these particularly long climbs, I found it to be the perfect place to catch up on calories and liquids. Especially since climbs often lead to major descents, also probably not the best time to be stuffing your face. This entire experience was the ultimate reminder of the importance of course specific training. 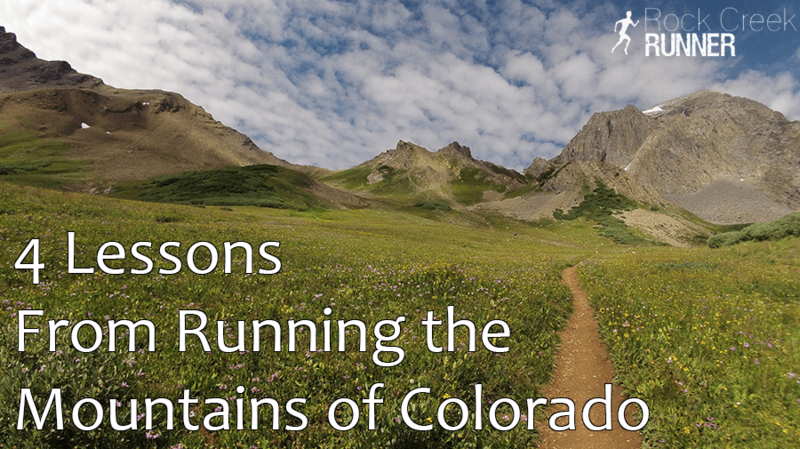 As any trail runner already knows, nutrition, weather, and hydration are all important during a big trail run. Get behind on your nutrition, or face unexpected weather, and even the best runs can go south quickly. I learned the hard way that these are even more important when running above 9,000 feet. With the dry air, intense sun, and lack of oxygen, altitude causes enough issues on its own. On day one I suffered through headaches and dizziness. On day two we faced intense rain and hail, leaving us all chilled to the bone and fighting desperately to get down off the pass before something bad happened. And on day three, after only about 3 hours of running, for many miles I wasn’t able to consume any food due to an upset stomach. For hours I suffered along with low energy, fighting my way up each climb. It came to a point on the 3rd pass where I had to force myself to take 10 steps before allowing myself to rest, no longer than 10 seconds at a time. It was the kind of darkness ultrarunners fear the most. It’s also the darkness we sign up for. Altitude makes everything more difficult and extreme, and proper preparations that much more crucial. At the same time, I also learned that altitude isn’t everything. I started the weekend scared of what would happen to me above a certain altitude, and while I did suffer and fight, it didn’t stop me from pressing forward and only added to the adventure. 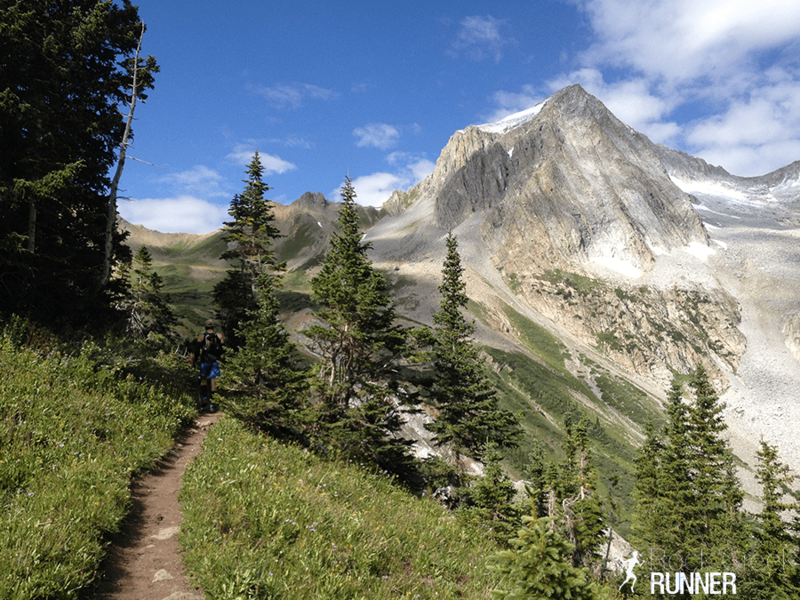 East Coast trail runners often dream of trail running life out West. And the famous community of runners. After all, all runners live like Anton Krupicka out there, right? For me, those dreams come with a dollop of fear. Fear of the unknown and of the wild. But what I kept coming back to over those miles in some of the more remote places I had ever been in America, was that trail running is just trail running, no matter where you are. There will always be uphills and downhills, and concerns about footing. You’re strengths will continue to shine and the trail will continue to expose your weaknesses. Falling still hurts, and cresting a ridge still sends chills down your back. Other runners will continue to look at you with excitement, because they know you’re on just as beautiful a journey as they are. It doesn’t matter where you’re running. What matters is your attitude and your spirit’s connection with the trail. We were about 20 miles into the Four Pass Loop (day three), and I had been suffering through a low patch for about 15 of those 20 miles. I was tired and defeated, and had been running alone for much of the past few hours, unable to keep up with David and Skylar who were moving better than I was. Throughout the weekend we had been running mostly together, but if someone would pull ahead, they would stop and wait every 5 or so miles in order to keep close in case something happened. On this day, with major stomach issues and lack of energy, I kept falling back even after they would wait for me to catch up. After a long stretch by myself, I turned the corner of the trail to find a stream crossing and my two running partners waiting for me on the other side. They didn’t have anything I needed, or any particular cure for my lack of energy, but knowing they were out there with me was just the thing to lift my spirits. A good running partner has your back when you’re feeling low, and hugs you in celebration when you make it up a big climb. They fist bump you as you pass, and leave arrows in the dirt at a questionable fork in the trail. And they’re just as excited to swap stories over beers in the hot tub once you get back to house. We all three remarked about how thankful we were to have friends who want to plan weekends like this and whose running abilities are as compatible as ours are. No matter where you’re running, or how far you’re going, having a friend or partner to share the miles and stories with will bring joy to even the lowest of low points. Great post. I can’t wait to do it again! Wow, what an awesome excursion, Doug. Great pix and great observations. I just start running on the trail and Enjoyed it so much! !